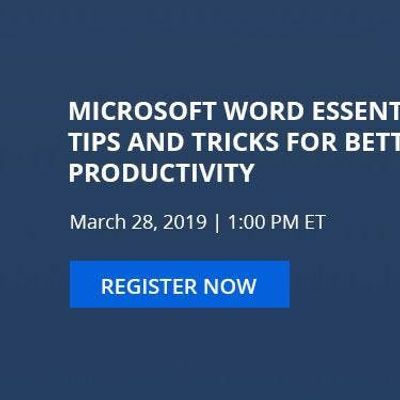 Join NetCom Learning trainer along with Managed Learning Services leader NetCom Learning for a complimentary interactive webinar on "Microsoft Word Essentials: Tips and Tricks for Better Productivity". 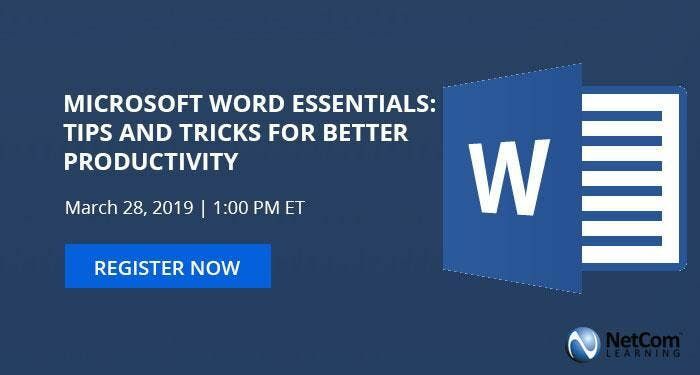 Become more productive and use Microsoft Word more efficiently with this collection of quick tips and tricks designed to give you some new skills, inspire new ways of working, and remind you of features you might have forgotten about in Word. In this webinar, we will provide on-the-spot solutions for common questions about Word. Topics will include properly adding space between paragraphs, using section breaks to control column layouts, adding watermarks, converting text to table and table to text, and much more. So, register now to pick up some valuable skills in Microsoft Word!